Secondary Containment is a standard requirement for any location handling the storage or containment of hazardous materials. 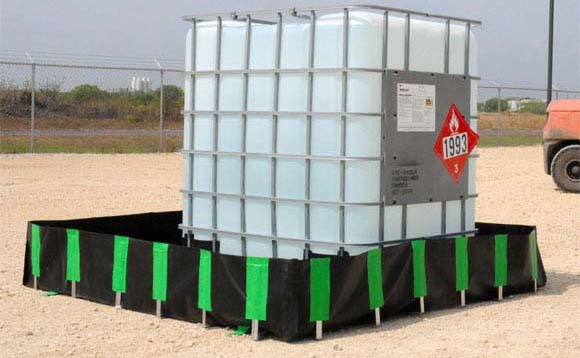 In order to help sites address these requirements, Portable Tanks, a division of GEI Works offers several products that will meet or exceed local, state or federal regulations. 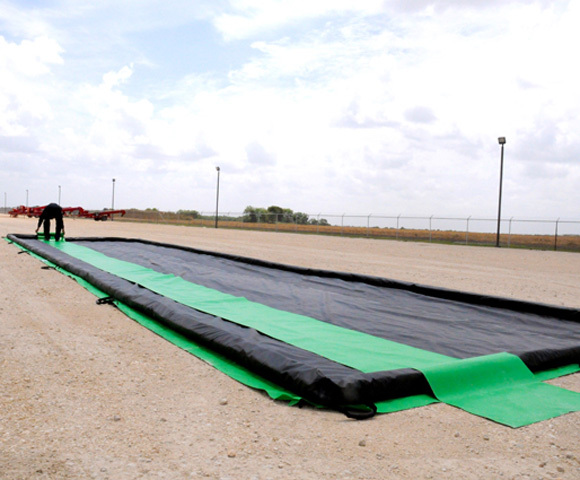 Available products include flexible containment berms, pop up pools, and flexible trays. In order to address mobility issues for equipment or tanks, many of these berms will also features a drive through option. This allows items to move directly on or off of the berm without any additional set up or adjustment. For fast response, one of the most commonly used items is the Open Top Onion Tank. Featuring self-rising foam walls, these tanks are designed to automatically rise as the tank fills with water. This keeps their profile low when empty, making them perfect for transportation and set up under equipment. Onion Tanks are a common favorite for use under valves, hydraulic lines, tanks and other equipment. Onion tanks are also able to be used on their own for bulk liquid storage. 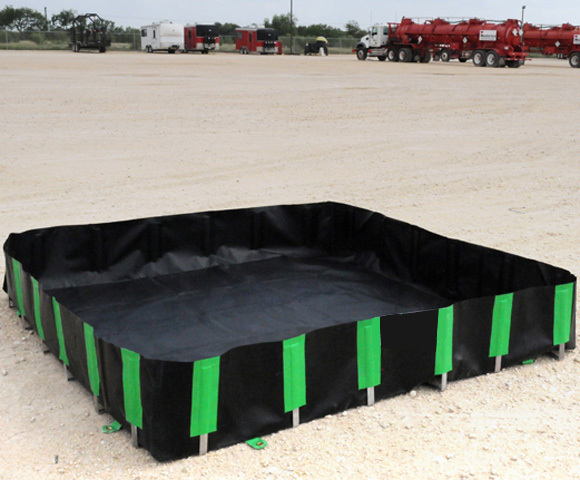 Spill Containment Trays, also known as Mini Berms, are one of the easiest solutions to leaks, spills and drips on your site. Designed to quickly open and snap into place, these trays can be used under lab equipment, tools, bottles, batteries and other equipment that requires short-term containment. Standard mini berms are made with a four inch (4") wall height to accommodate liquid from a spill. 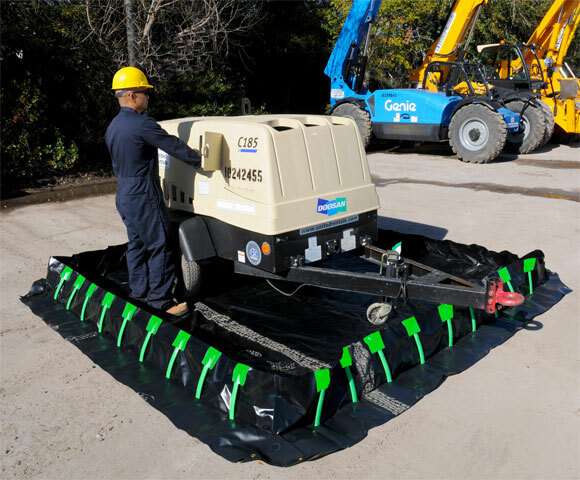 Items can be placed into the containment area by hand or by forklift, depending on the size your tray/berm.